When I teach yoga, the number one thing that most of my students say is “I love your playlist!” I spend much of my time after class writing down yoga music artists for my students, so they can go find them on iTunes later. Many of my students say that they have a hard time finding their own “yoga music” to enjoy at home or that it takes too much time. 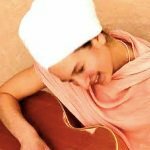 So I decided to compile a basic list of the 10 yoga music artists that are simply favorites of me or our yoga studio in general. All of the music provided will easily cross-over into any yoga practice. 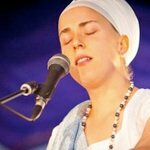 She is an American singer-songwriter who performs Kirtan and Indian Devotional Music. All of her albums are beautiful and peaceful. 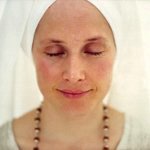 Definitely check out “The Essential Snatam Kaur”. The amazing duo of Markus and Angelika. Their music sounds mystical, Latin-infused, and devotional. To find out more about them check out their beautiful story on their website. Download their album “A Hundred Blessings,” to start off your collection. 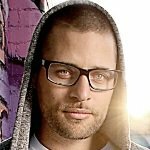 Truly ahead of his time and a musical genius, MC Yogi delivers beats and lyrics that make everyone excited about their practice on and off the mat. His website has some free musical goodies. 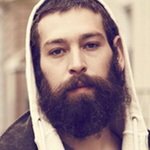 An American-Hebrew reggae and alternative rock musician who performs uplifting and empowering songs to kick-start any practice. He's the guy on the picture up there, by the way. Download his songs “Sunshine” and “I Will be Light” for a small taste. She is an essential artist to have on your playlist. Her music packs a punch with beautiful energy as well as a calming grace. Download her album “illumine”! She is quite new to the scene, having just released an album in 2007. 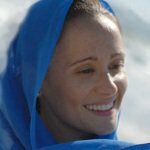 Most of her peaceful and calming meditations you will find on Spirit Voyage If you are looking for a song to bring you or your students ease of mind during savasana, her song “Wahe Guru” can surely do that. This blossoming Indian artist has a plethora of energetic, devotional, meditative, and graceful tunes alike. Check out her best-selling album “I Am Thine” on iTunes for more. He made his way into our homes and hearts via the song “Other Ways” which was played on the “Shrek the Third” soundtrack. Now, a soulful and reggae-style musician who clearly wants unity is here to spread peace and love. 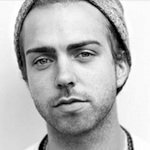 Check out his album “Trevor Hall”. 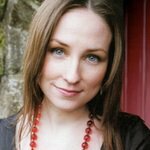 She is a Scottish artist (mainly singing in Scots-Gaelic) who plays multiple instruments! Most recently her music was heard in Disney’s “Brave.” The songs evoke the mystical as well as energetic feelings of dancing and movement. 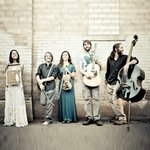 An indie-folk, neo-acoustic group based out of Colorado, the first time I heard “Ring around the Moon,” I felt an instant connection and oneness with not just this group but everyone. The music brings out a feeling of unity and oneness while differentiating in speeds (varies between calm and energetic).Check out their album “Break in the Clouds” on iTunes. When we are in tune with the music that is being played in class, we can easily be in tune with our practice. Music helps us to feel certain ways and we really play on this factor during yoga classes. To keep you focused when you’re holding a pose for 3 minutes or longer, we play an upbeat and positive song such as Matisyahu’s “I will be light.” Plus, you can’t forget about savasana. The point is, music evokes different emotions and as yoga instructors we must be in tune with each moment of the practice so that we can create that atmosphere using various artists. Enjoy the music and happy hunting everyone!